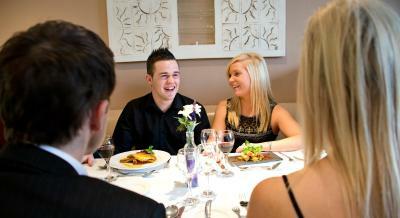 Lock in a great price for McWilliam Park Hotel – rated 8.6 by recent guests! Close to roadway and convenient to lovely downtown. Had nice drinks at the Kavanaugh bar. Lovely spacious bedroom. Great pool. Very friendly helpful staff. Late bar. Free car park. 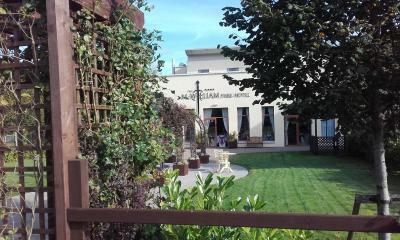 The hotel is well located if you're visiting the Claremorris/Knock area. We were attending a friends wedding in Claremorris. Staff were most helpful and they went out of there way to make our stay as comfortable as possible. The hotel, dance room and bedroom were all perfect. Conveniently located right off of the north-south highway. Opted for meals in the bar and they were great and reasonably priced. Very comfy bed, large room, very clean and spacious hotel. 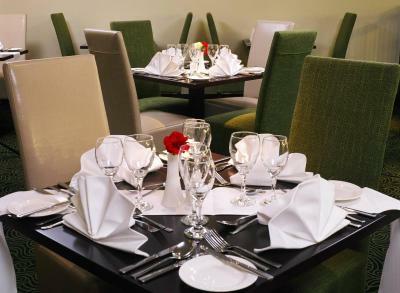 McWilliam Park Hotel This rating is a reflection of how the property compares to the industry standard when it comes to price, facilities and services available. It's based on a self-evaluation by the property. Use this rating to help choose your stay! 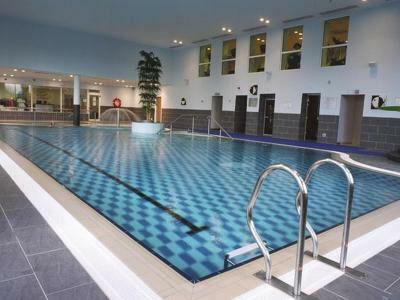 One of our top picks in Claremorris.With a swimming pool, sauna and hot tub in its leisure center, The McWilliam Park Hotel is located in Claremorris town. 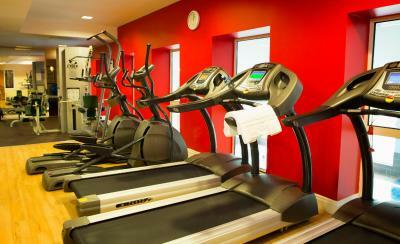 It offers free Wi-Fi, regular entertainment, and its own kids’ club. Each room at The McWilliam Park includes a flat-screen TV with a DVD player, along with free tea and coffee. 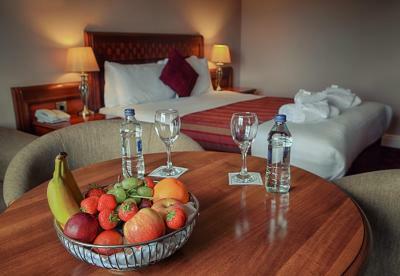 Rooms also include an private bathroom with a hairdryer as well as a work desk with a study lamp. Using fine local produce, John Gray’s Restaurant serves a creative menu with a wide range of cuisine, including a full Irish breakfast. 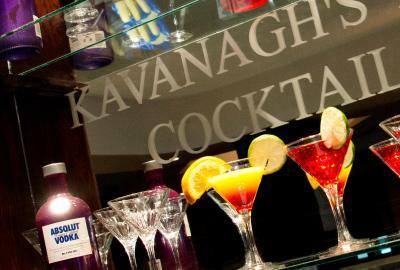 Kavanagh’s Bar and Lounge features live entertainment and provides a range of hearty dishes and drinks. The leisure center at McWilliam Park features a water flume for guests to enjoy, as well as a relaxing steam room and a range of treatments in the Chique Health and Beauty Studio. Ireland West Airport is located just 20 minutes’ drive away, and surfing can be enjoyed at Enniscrone beach 25 minutes’ drive away. 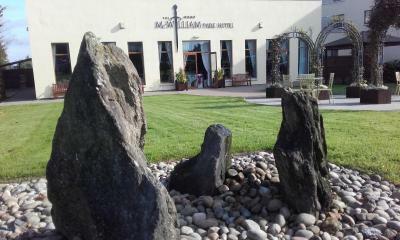 When would you like to stay at McWilliam Park Hotel? This room at includes a flat-screen TV with a DVD player, along with free tea and coffee. Rooms also include an private bathroom with a hairdryer as well as a work desk with a study lamp. This family room can accommodate 2 adults and up to 2 children sharing. There is a double bed, a single bed and a pull-out sofa. The room includes a flat-screen TV with a DVD player, along with free tea and coffee. Rooms also include an private bathroom with a hairdryer as well as a work desk with a study lamp. Please note that the pull-out sofa is strictly for children only. 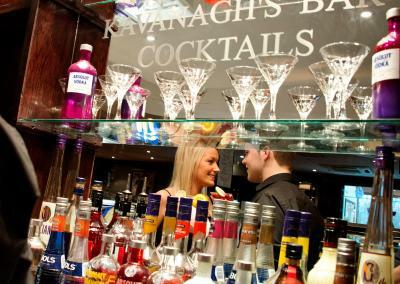 House Rules McWilliam Park Hotel takes special requests – add in the next step! 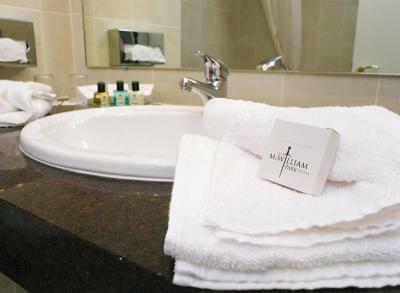 McWilliam Park Hotel accepts these cards and reserves the right to temporarily hold an amount prior to arrival. If you wish to pay with a McWilliam Park Hotel gift voucher you can use the Special Requests box when booking, or contact the property directly using the contact details provided in your confirmation. The original voucher must be shown on arrival and can only be accepted with prior arrangement. Guests are advised to book treatments in advance for Chique Skin Care & Beauty. McWilliam Park Hotel reserves the right to pre-authorize the card provided with the booking any time before the arrival date. Carpet in dining room where we had breakfast is dingy and unclean. Saw child spill yoghurt and stain still there next morning along with many more old stains from the past..
Stay was comfortable and food was good. Room was cold, no heat on at any stage! Bitterly cold outside. Everything except the temp of the room. Room was comfortable, breakfast was lovely! Great atmosphere in the bar with music and dancing. Breakfast was nice. I really wanted an early check in.. I was leaving early the next morning and was very tired after a long journey we arrived at 9.45am and had to wait untill 3pm One receptionist said they might move me to a room that was ready ..but then another came from the office and told me we had to wait .. there obviously was rooms ready but she couldn't be bothered.. I didn't complain I just when along ....didnt want to get anyone in trouble. The bathrooms are a bit tired and could do with a bit of a spruce up. Not much more to mention. I like the bar and lounge area very comfortable. 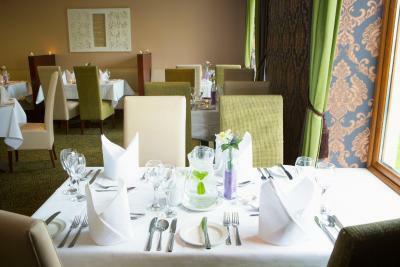 Food is very good and an excellent menu selection The rooms are a good size with plenty of space for working as well as relaxing. 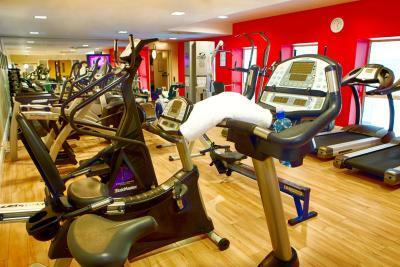 The Hotel has a Health centre and swimming pool, which is also open to the public. Rooms have Tea and Coffee facilities and a Safe. The football matches are shown on a big screen in the bar which is great for me as an ardent sports watcher. Too far for a walk into town and the room was very hot. Our check out time was 12pm but housekeeping knocked on our door at 10:50. An alarm sounded sporadically for 30 minutes which was very distressing and no explanation or apologies were made by staff on check out. Very disappointing. Good breakfast selection. Nice comfortable bed. Polite staff. Good parking facilities. Nice leisure centre. Good distance to town.